What Does 2 Corinthians 3:1 Mean? Are we beginning to commend ourselves again? 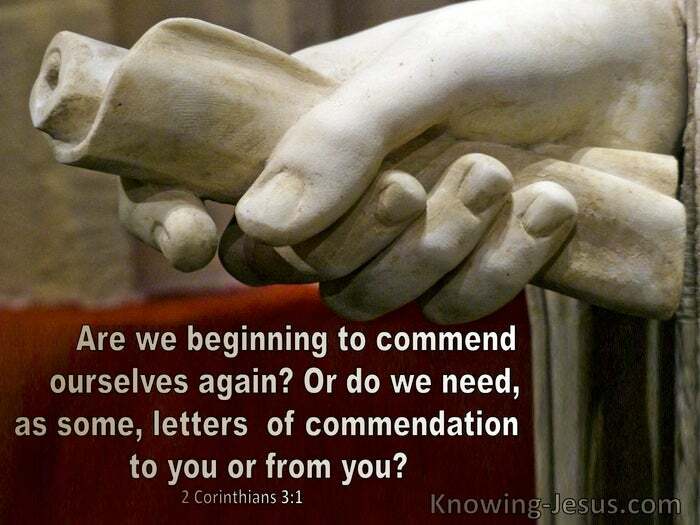 Or do we need, as some, letters of commendation to you or from you? An important reason Paul wrote his second epistle to the Corinthians was to denounce the legalistic teachings of Judaisers, that had infiltrated the Corinthians church. They not only imposed their unscriptural doctrine on the believers there, be also attempted to control their minds by denouncing Paul as a false teacher, which caused much confusion among the believers. In this section, Paul sought to contrast the superiority of the gospel of grace and the freedom it supplies, with the restrictions imposed by the Mosaic Law. Certain misguided Jews, who may or may not have been truly born-again, could not accept that keeping the Mosaic Law was not a requirement for salvation or that circumcision was not a legal requirement to become a Christian. They despised Paul's doctrine and attempted to undermine his teachings, and although they claimed to believe in Jesus, they did not understand the gospel of grace, or accept that Israel had been set aside for a season during the Church age - i.e. 'the dispensation of the grace of God'. Ironically, the aggressive attacks of legalists against Paul and the false doctrine they disseminated caused considerable confusion among believers in the early church... and prompted Paul to pen certain letters, including his second epistle to the Corinthians. He wrote to correct the Judaiser's legalistic errors; to clarify the truth of the glorious gospel of grace; to encourage the believers to hold fast to the truth; to vindicate his name and to restore order to the local Church community. These legalists twisted the truth by adding law and works to grace and faith, and they 'peddled' their teachings for profitable purposes. They treated the gospel as if it were some kind of merchandise and used their false teaching to manipulate the minds of believers and to gain control over their thinking. Leading up to this section in chapter 3, Paul defended his authority by listing four characteristics of his message and ministry. Firstly, he pointed out that he came to them openly and in sincerity of heart and presented his message with total transparency, unlike the Judaisers, who used tricks and subterfuge to draw them away from the truth. Paul then reminded them that the message he taught was given to him directly from the Lord, and that God alone was the source and supply of his strength and the One Who always lead him into triumph in Christ. Paul added that his responsibility in teaching the gospel was towards God, Who not only commissioned him to preach the good news to the perishing, but was silently watching everything he did. Finally, he admitted that his message was 'deadly' to his legalistic critics, who viewed him as having a stench of death... while the message he shared with true believers was a sweet aroma of life and health and wholeness. As Paul restated his credentials at the end of chapter 2, he knew it would sound similar to the boasting of his legalist critics, who had attempted to destroy Paul's credibility and replace his teachings with their own false doctrine! 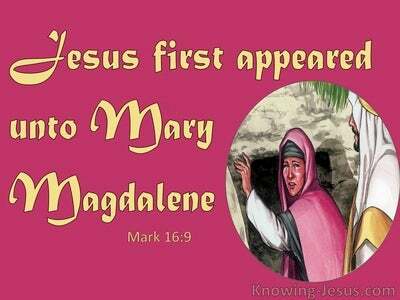 He therefore asked dryly.. Are we beginning to commend ourselves again? 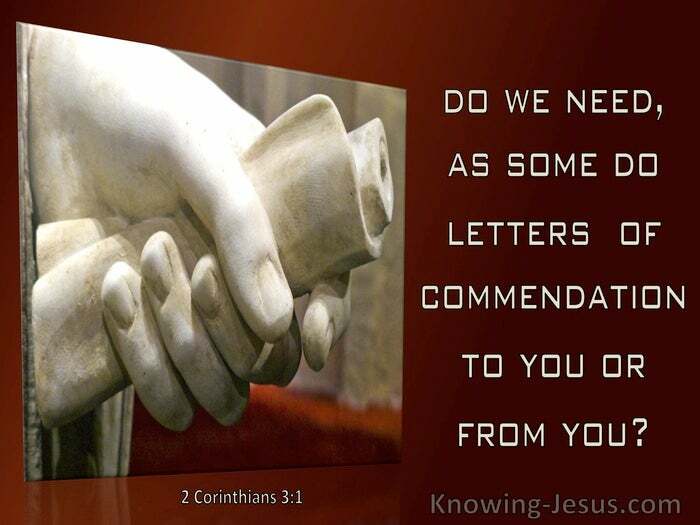 Or do we need, as some.... to bring letters of commendation to you or take letters of commendation from you?" The custom of the day was that itinerant preachers would carry with them testimonials or letters of recommendation to promote themselves to a new group of believers. Certainly, the legalists of the day participated in this practice! Teachers had to 'sell' themselves through the approval.. or commendation of others, and would try to discredit the character of more popular teachers. But Paul did not engage in this activity. His readers had known Paul for some considerable time. He even lived in Corinth for eighteen months, during which time he gained their confidence and trust because of the godly life he lived. Paul was not reintroducing himself to the believers in this verse, nor was he trying to blow his own trumpet or elevate himself in their eyes. He was simply reminding them that his conduct.. whilst living in their midst, should be a sufficient recommendation as to his character, his motive and the gospel he taught... compared with these legalists, who relied on letters of commendation to endorse their ministry. How important to remember that it is not the praise of others that should be our motivation to live godly lives, but a desire to honour our Lord through the life that we live, so that we become a sweet aroma to those that are saved by grace through faith in Christ, while having the stench of death to those who resist the convicting work of the Holy Spirit in their lives. Dear heavenly Father, thank You that there is nothing I can do to commend myself to You because Jesus did it all on the cross, on my behalf. Thank You that by faith in His death and resurrection I have been declared righteous and have been brought into the family of God. Keep me from any legalistic leanings and give me discernment to identify and reject teachers and teachings that are not from You. I pray that my life may be a sweet aroma to my fellow believers and to You, and help me to grow in grace and in a knowledge of the Lord Jesus day by day. 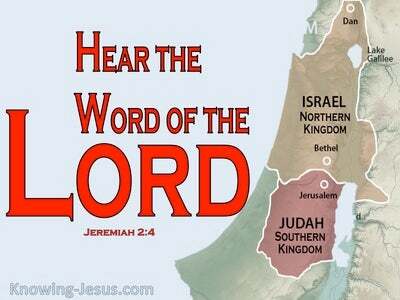 This I ask in His precious name, AMEN.